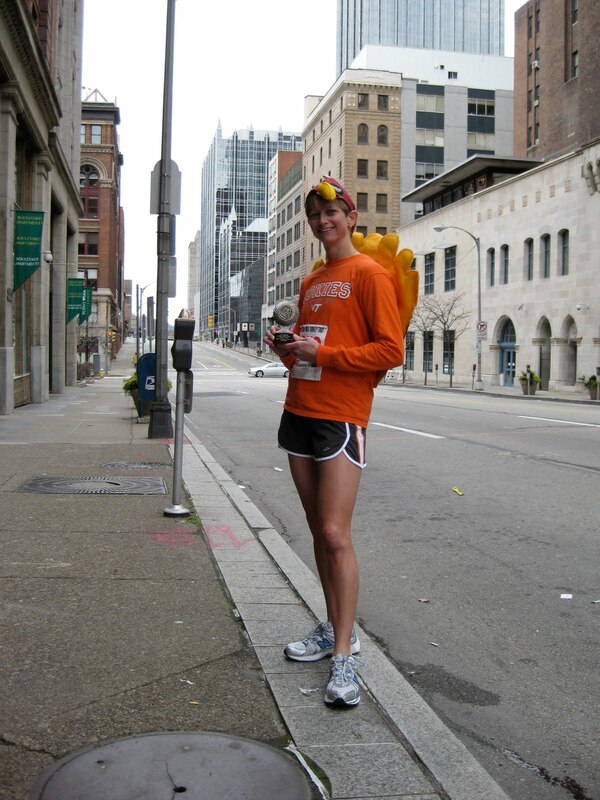 This morning I ran my second annual 5K Turkey Trot in Pittsburgh. I wore the same turkey costume as last year, one I had made years ago for Halloween for Robert. 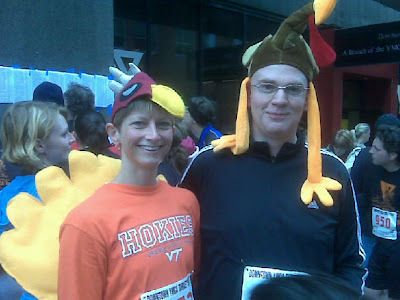 Last year many others said they'd return dressed as turkeys, but few did. There were some hats, but I think I had the only turkey tail. Last year I finished just out of the medals for my age group and knew I could improve. (Honestly, I felt something stronger...something approximating "revenge". I know that sounds bad, but it's more like if they can do it, I can do it and then some.) However, just coming off of the marathon, I wasn't sure what I'd be able to produce. That's part of the fun of racing. You just don't know what you can do until that gun goes off, you start running, and you do the quick assessment of mind, body, and soul. This was an out-and-back course so at the turnaround you get a sense of your place. Like the last 5K, I noticed it was predominantly men ahead of me, and not all that many of them, so I figured my pace was pretty good. I just locked in with a group and kept pressing. The 5Ks go so fast there's no point in checking pace on the watch, you just turn the screws, do what you can do, and let the chips fall. 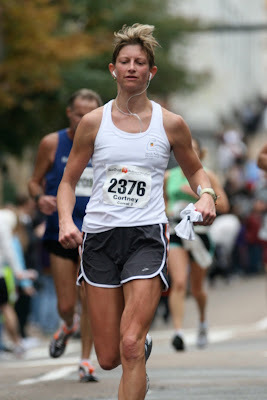 I concentrated on holding an aggressive pace, but staying mentally relaxed and economical in my stride. I met quite a few fellow Hokies out there! 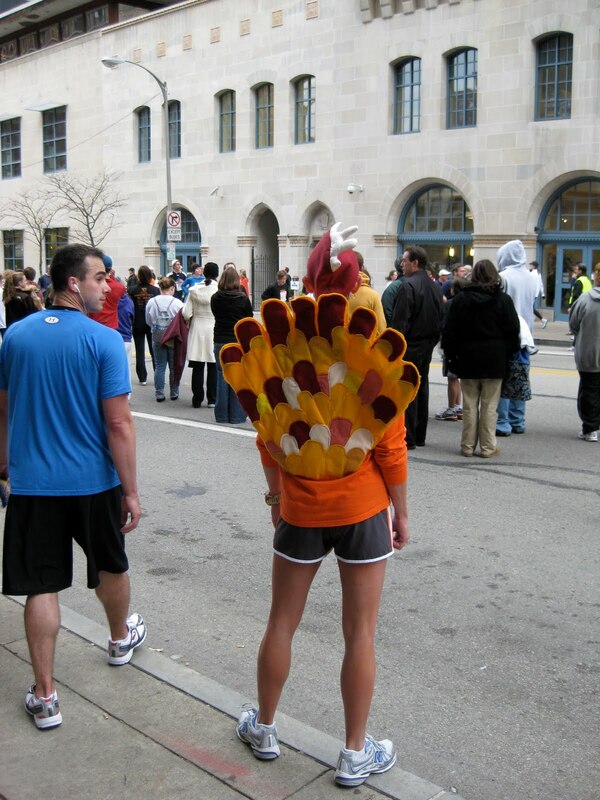 Dressed as a turkey, you get LOTS of support, which somewhat makes up for the loss of aerodynamics from the tail feathers. In fact, coming into the final mile, I told myself that no one wants to see the turkey peter out, I had to finish strong. After a short mental debate questioning how badly I wanted it, and whether I wanted to challenge the only other woman within my sights, I decided YES in fact I wanted it badly. I found another gear I wasn't sure I had and surged ahead of her. It paid off with a result I am very happy with! 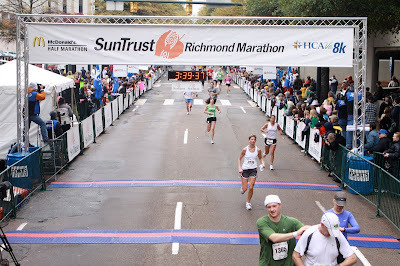 Yesterday I ran the 32nd annual Richmond Marathon…which was my first marathon….and I could not have written a better script or better ending. I arrived on Friday, and we stayed at the historic and beautiful Jefferson Hotel, just blocks from the start. I spent the day keeping busy – packet pickup, perusing the expo, settling into the hotel, and getting the blood flowing with some light elliptical work and stretching. 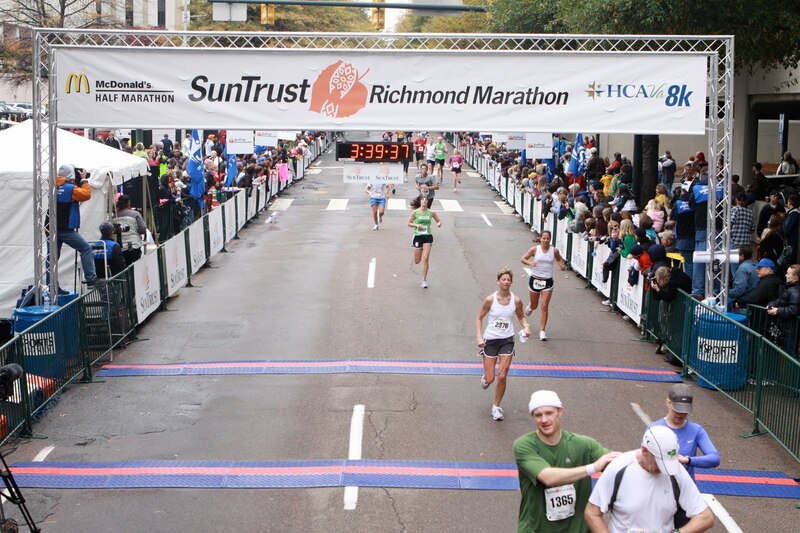 The expo featured a lot of running gear along with Richmond Marathon apparel and souvenirs. I couldn’t bring myself to get anything though, afraid of somehow jinxing myself and being stuck with a memento of a bad race. My husband and older son came, along with my trainer Jake, which was a huge bonus since he could manage the details (and me) so I didn’t have to. My job was to stay relaxed and eat through the big cooler of food we had brought. After a week of record-setting rains, things cleared just in time. Race day started with clouds and drizzle, and temperatures in the upper 40s. I made two rounds through the port-o-john lines with a short warmup in between, then it was time to shed my toasty layers and get to work! Jake talked me out of wearing two watches (in case one failed) and two iPods (same reason) and he was right. So it was just me, my Garmin running watch with HR monitor, and two gels pinned inside my shorts. Off we went, and Shannon had planned to run about an 8:18 pace to give us a little time cushion, and he didn’t mess around. We got right up to speed and I had to expend some mental effort just to navigate the crowd and keep up. Before long I had Shannon’s shirt and singlet burned in my brain and like a bunch of ducks we followed our mama (ok, papa) duck! Very quickly it seemed, we had ticked off a few miles, with Shannon announcing mile paces, and I was happy to be DOING it rather than just thinking about doing it. As I had planned, I shed my long sleeve shirt and gloves, left at an aid station and hopefully donated. Early on I felt like I had something akin to an anxiety attack and my heart rate really spiked (see Garmin Connect - Activity Details for Richmond). I had to will myself to chill out, not wanting to waste any energy unnecessarily. As I ran, I did little talking, just listened to my iPod and thought about keeping everything relaxed with efficient running form. I spent some time thinking about people who made it possible for me to do this, and the list of those who have helped, encouraged, or inspired me, is long. Miles 7-10 were beautiful along the James River which was RAGING! The area had heavy tree cover, the road was closed, and we could spread out. I ran alone ahead of the group for part of this. As I ran I realized how wired I have become to expect hills up ahead. Around every bend and turn, I expected to see them, but there were very few. I did get a chuckle out of the fact that inevitably, up every “hill” there were always a few people walking. Flatlanders!! I think in some ways the flat course was tough on me because the impacts and the workload stayed the same for so long without the benefit of the changeups from the ups and downs. We hit the 10 mile marker and it wouldn’t be long till we hit 13.1 and the half-way point. The crowds were great, shouting encouragement, yelling my name. It was a bit startling to hear my name called at first, nearly forgetting it was printed on my bib. That support was helpful, and I was amazed at the sheer number of people who came out to watch, in addition to all those at the aid stations holding out cups and gels, arms extended with water and PowerAde for hours and hours. I wonder how sticky and drenched they got from spilled and jostled cups? We crossed the James again between mile 15 and 16. Even up on that cold blustery bridge, there were small pockets of spectators cheering us on! About this time I started to get really hungry, despite having had three gels at this point. I kept thinking about how good it would be to eat when it was all over, so I spent some time considering all my food options! All this time my body was feeling pretty good. Even my knee that I had banged up three weeks prior and had been giving me problems had not lodged a protest. I had some areas of tightness here and there but just concentrated on relaxing them and things resolved. By mile 20 I started to get a little excited, but I reminded myself that I still had about an hour to go. I had to just stay steady, relaxed, and very patient with myself, because at that point I would have been happy to have been done. One of my concerns leading into the race was whether I’d have to stop at a port-o-john and if so, whether or not I’d be able to catch back up to the pace group. To my surprise, I never did have to stop. 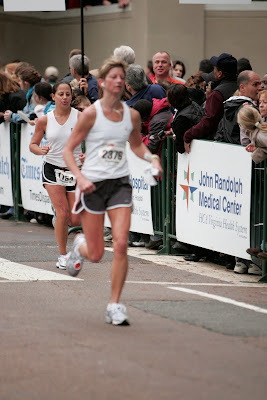 My other concern was if my stomach would hold up as I’ve had some pretty major GI distress after long runs in the past. Again, a non-issue. My body likes to keep me guessing! Miles 22-24 seemed long and I would have liked to have slowed down, but I convinced myself that going slower would just prolong the situation so best to keep it up and finish. By 24 I was REALLY ready to be done. I was starting to pass folks who were walking, dealing with cramped muscles or other issues. My heart went out to them and I remembered I came here to run not walk, so no way was I going to walk unless I was out of options. I continued to keep Shannon in my sights and put one foot in front of the other. Thankfully the last half mile or so was downhill so I could just roll through to the finish. Normally I have a kick left, but on this day, I decided against it thinking the possible damage wasn’t worth it. Little did I know the toughest challenge awaited. I got my medal and stopped briefly, but long enough to know I was in trouble. I remember Spencer saying he was proud of me while I leaned on the metal traffic barrier for support and I could hardly respond. My whole body hurt and my brain seemed to go crazy trying to figure out what to attend to first. I didn’t know what to do. Jake kept me moving then I tried alternately standing, sitting, and lying on the ground. I had a few incoherent conversations with some other Blacksburg friends. Then I went into the Omni for a pee (finally) and ended up lying on the floor by the fountain. Jake stretched me out, but I was so happy to just lay there, I really didn’t know how (or if) I would ever move again. Someone from the hotel came over and nicely inquired about how I was then informed me that I couldn’t lay on the floor of the hotel! In the process of trying to stand my quads had cramps of a magnitude I had never before experienced, so Jake pretty much lifted my dead weight to standing. He had to put my shoes on me, help me get my tights back on, it was pretty pathetic. Soon the worst had passed. I had water and part of a banana and began walking around and doing a systems check. It seemed everything was OK, or at least no particular parts seemed worse than the others! Robert and Spencer had gone to try to get the car and bring it around, but there was no way with the blocked off streets. It’s probably just as well as the walk back to the hotel was just what I needed. I had a shower, some lunch, and within a few hours was really feeling pretty good. Today, the day after, I feel amazingly good and ready for more! My running routine will relax a bit through the holidays then pick back up for the next race destination, to be determined! I was glad to knock this out after the spring leg injury and inability to run the Pittsburgh Marathon. I had to get this monkey off my back. Lately I had gotten pretty paranoid not wanting to be 0 for 2. Examples: we left my race bag in the parked car and I thought what if the car gets towed with my bib and chip in there? Walking in the city I saw the sidewalk grates as potential disasters in waiting. In hindsight, I’m so glad the way things worked out for many reasons. This was a much stronger run than I could have produced last May. I was glad to have my trainer there before and especially after- considering all the help I needed in the hour after I finished. In Pittsburgh I was planning on it just being my dad and I and that wouldn’t have been good to put him through. The whole pace group thing worked out well too, knowing the leader. I also enjoyed the fact that so many people from the area ran in this and there was a nice little buzz leading into it. The running community is so supportive. In the end, we are all just challenging ourselves anyway. It was a great experience, and I’m looking forward to the next training cycle (after some downtime)!! It turns out Boston 2010 registration closed on Friday, they are full, so I'll have to wait until 2011. That's OK, I'll be better prepared. 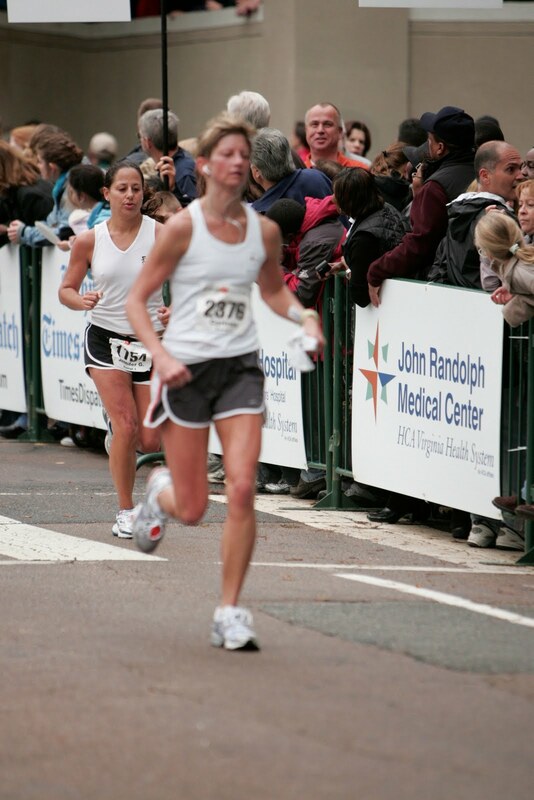 To finish the race feeling good and wanting more, what better outcome could there be? I leave tomorrow morning for the marathon. It's been a tough week - rainy and cold - and I'm off my normal schedule of things that I thrive on. I haven't been in the gym or pool since Tuesday and my few runs have been really short (and wet). My meals have been predetermined, and can you tell I'm feeling a little cranky? Probably the biggest thing on my mind right now is my knee. It's not 100% recovered from that fall three weeks ago. There's a really sore spot on one bony prominence and it's not perfect when I run. I am just hoping and praying it holds up as I expect it too. My energy levels have been really low too which is frustrating. I think it's a combination of lack of exercise, crappy weather, impatience, sitting around doing computer work, and maybe even too much sleep? I feel as though I am not feeling the way I should, but then I realize I don't even know how I *should* feel. I can't let my brain play tricks on me, I've felt way worse in the past and hit good runs. I have so many mental motivators, let's hope I remember them. The pain of meeting my goals will be less than the pain of not. There is no tomorrow on this marathon, I need to hit it then and there. Don't expect to cruise through this. It'll be hard work, maybe not turning the screws quite as tight, but maintaining it much longer. The weak link is the brain when it gets bored. Counter the negative messages. Be a machine, just go. Keep the rhythm. Ride out the tough times, they never last more than a few minutes. Keep everything relaxed, minimize effort. Compared to the terrain of the training runs and the trail race, this should be much easier. Run right where I am, not thinking even three feet ahead. Stay within myself. Run one mile at a time. Settle in and don't start thinking it's over until it's over. Be grateful for the struggle; I'm blessed to have this opportunity, the physical ability to do it, generous help and support, nourishing food, good shoes, and a lot of LOVE backing me up. I'd rather be running for 3-1/2 hours than sitting in a meeting or waiting for a plane that long. Heck, I couldn't begin to sit through a movie that long. I can run twice as far as I think I can. I've sacrificed things to get here, and so has my family. The first 10 miles are the warm-up, the next 10 are the working set, and the last 6 are where I will really grow. Think how great it will be to run in Boston. Ironmen run marathons AFTER major swims and bike rides, so surely I can just do the marathon. 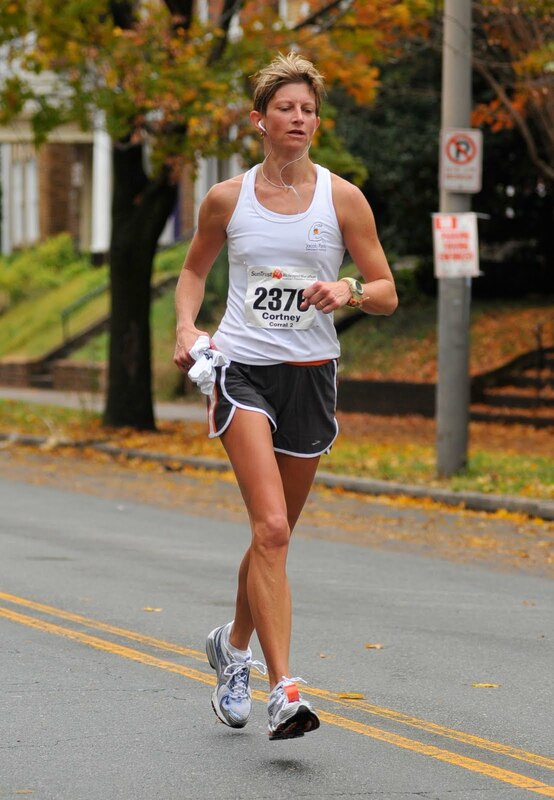 People run 50 and 100 mile races in all kinds of grueling conditions, surely I can do 26. Enjoy the sensations, after all, "running is a dance that covers distance." This is a celebration of months of prep, a year really. This is the first of many marathons so finish happy, finish wanting more. Run, Fatboy, Run - comedy! Pre-race neuroticisms send me on a quest for books about running to fill my time. This is one I picked up and enjoyed! I tripped and fell at the Brush Mountain Breakdown sustaining a bruised hip and knee and I was just three weeks out from my first marathon in Richmond. The knee was troubling, and the best I can describe it, it felt as if something was getting hung up on the outside of the knee. I kept visualizing a string on an instrument being plucked. Whatever it was, it was not comfortable, but I didn't want to mess with any kind of wrap or brace that might just cause other problems if I used them during a run. At Runabout Sports, I was given a roll of Rock Tape (www.rocktape.com) to try. (This particular roll was hot pink, always a plus!) 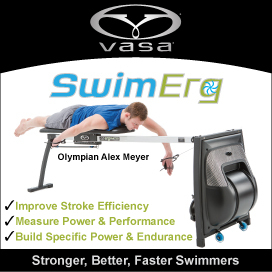 I remembered having seen something similar on tennis and volleyball players, and learned that it works to lift the skin away from the muscle thus promoting blood flow. My massage therapist does myofascial release and I supposed it did roughly the same thing. I applied the tape as directed (there are printed instructions and also videos online), with strips curved around each side of the kneecap and additional strips above and below. WIth the tape applied in its stretched state, it created a comfortable tension on the knee, giving the sensation of mild support and counterpressure. Mentally it also provided a distraction. The adhesive holds up well even in water, yet leaves no tackiness behind when removed. It's pretty much like removing long bandaids though. Lotions will affect the adhesive so put it on clean, dry skin. I can't say for sure what it does or how it does it, but at this point, I am still using the RockTape on my runs and will continue to do so. I asked my massage therapist about the efficacy of this kind of product and she was very much in favor of it. I will definitely add Rock Tape to my arsenal of tools to keep me running.